The P128-SF flipper knife from RUIKE features a solid stainless steel frame lock handle and a full-flat ground drop point blade made from 14C28N stainless steel. 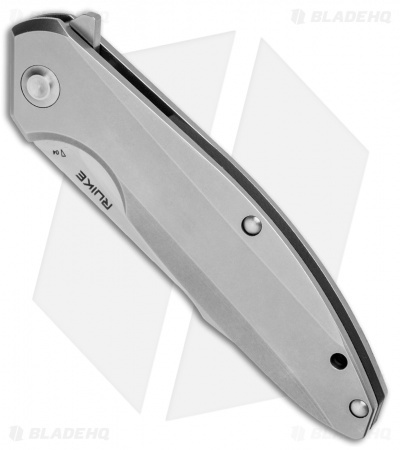 Its sleek stonewashed build is complimented with a deep carry pocket clip, flipper, and a Beta Plus lock. 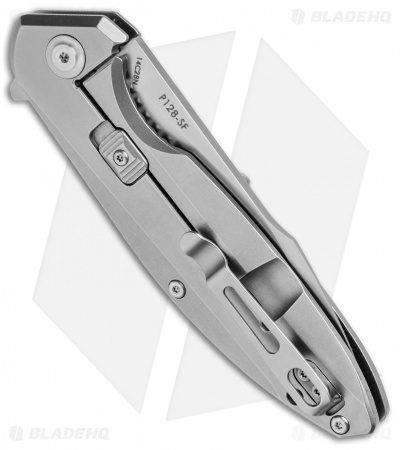 Easy one-handed operation and a dependable design make the P128-SF a solid addition to your EDC rotation. Make no mistake about it! This knife is big and heavy but it feels solid in the hand and the quality and finish is absolutely perfect. Very happy with the knife and it’s also razor sharp out of the box. Absolutely amazing knife for the money. Very nice machining. Solid construction. Sharpest knife out of the box ive ever bought and i buy alot lol. Beautiful packaging. Super smooth action. Very impressed. Cant beat the price for a sleek gentlemans knife. Bought this more so To carry for when i have to dress up and its looks and style work perfect for that. After having acquired my first Ruike, the P801, I had to try another one, so I chose the P128 as I liked the frame lock and blade shape along with being a flipper. Like it's smaller brother, the P801, the handles are made out of of stainless steel which gives it a solid, substantial feel, similar to a ZT, but obviously with a lesser quality blade steel in 14C28N, which isn't bad by any means for the money. Like the P801, it has a very nice flipper action which is even snappier than it's little brother. At 5.5 ounces, you'll know it's in your pocket, which to me is comforting. This is a very nice knife that I have no qualms recommending, hey it even has what they call a beta plus lock which gives another level of safety if you are so inclined. 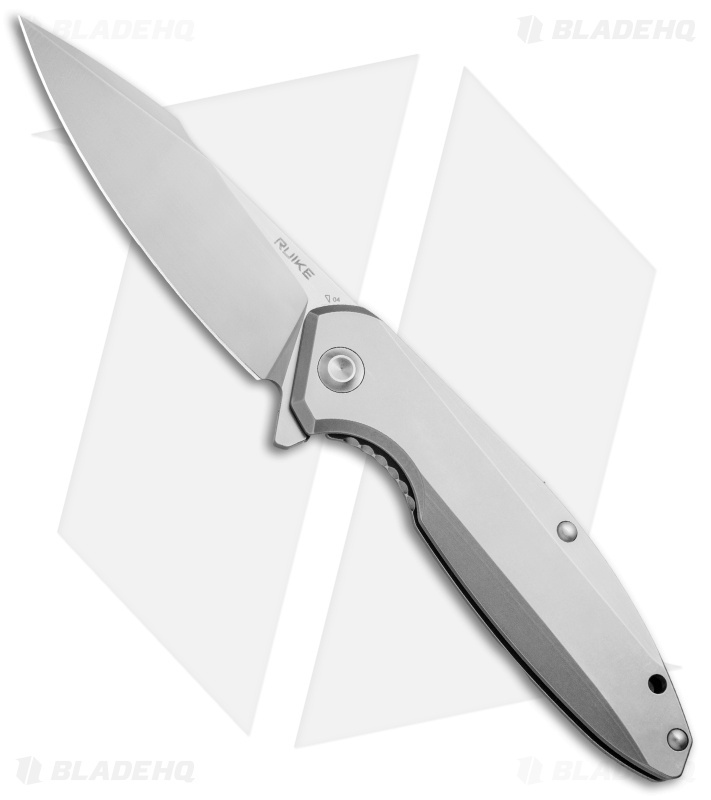 Flips like a ZT, priced like a CRKT! A lot of knife for the money! Ergonomics are excellent, though the steel handle is a bit heavy, but not unreasonable. 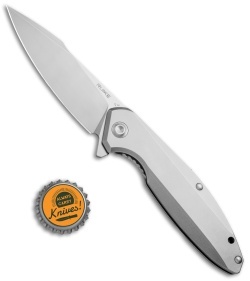 14C28N is a great budget steel and this blade cuts nicely out of the (very nice) box. What sorted me the most was fit and finish. The tolerances on mine are extremely tight, with perfect blade centering and excellent detent. The blade flips smoothly and fairly fast. I was instantly reminded of my ZT0801Ti. It flips almost exactly like that one, and I love it! Lock bar is a bit thick and rigid, but I'll take a solid frame lock over a weak liner lock any day. A little texturing on the handle or jumping along the spine would have earned a fifth star from me, not for the price, this is a fantastic knife. I'm thoroughly impressed with my first Ruike knife, and I'll be picking up another one very soon.